We have a growing selection of live edge slabs in stock. Some are ready to work and others are seasoning and stabilizing. Below are some examples that are ready to go. Dimensions: 22-32"W X 61"L X 1 5/8" THK. The natural contours of this slab would lend itself to a desktop or over-sized coffee table. 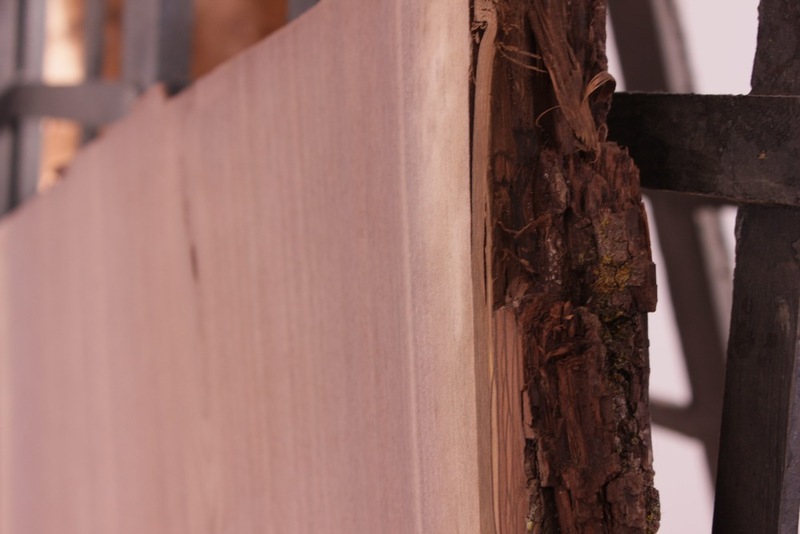 The gorgeous wavy figuring in the centre of the board are one of its best features along with the excellent adhesion of the bark on its live edges. Pair up with hairpin legs or structural tubing for a modern look. Dimensions: 23-46" + 23-10"W X 70"L X 2 1/2" thick. 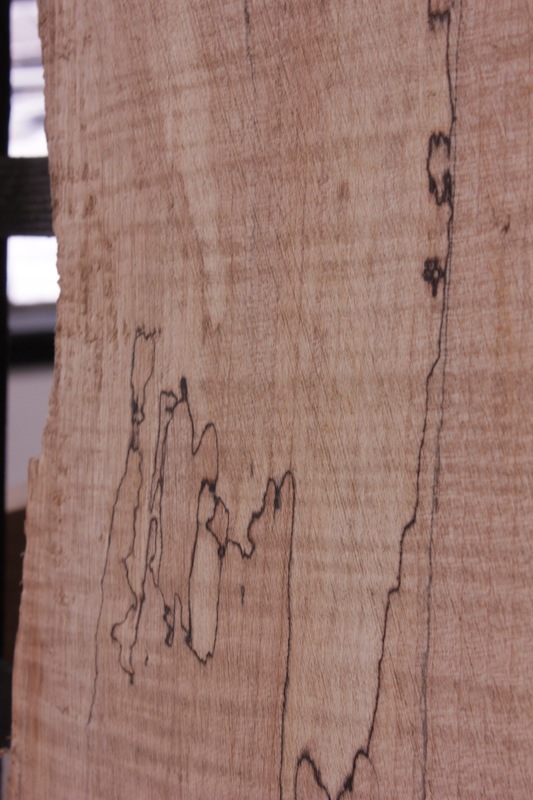 Spalted wood is the result of a bacterial infection in the dead tree. The black lines seen in the second picture above make this wood a highly sought after material. This slab is in two pieces, but only one is shown. It can be purchased as a whole piece to make a 46-56" X 70" surface or as two separate pieces. A show stopper. Dimensions: 27-43"W X 64"L X 3" THK. 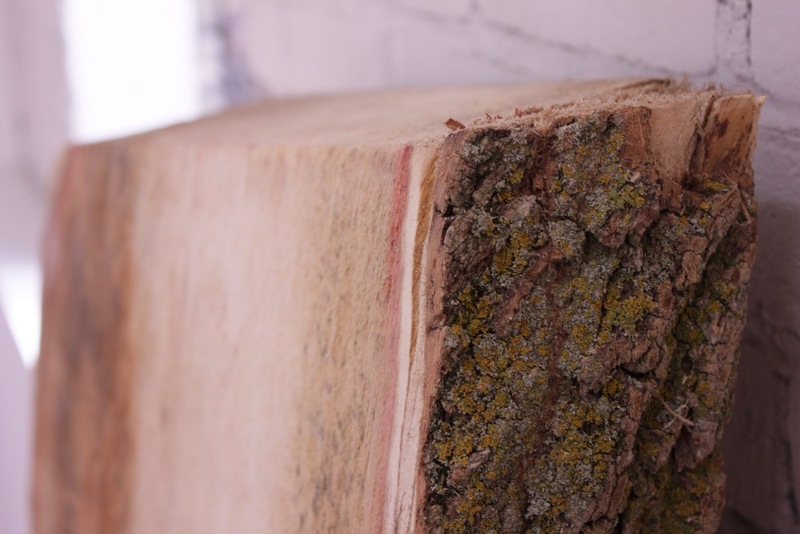 This box elder is an excellent example of the species having outgrown its life expectation. It would make a great table surface. The addition of a glass inlay in the crotch would be stunning. Pink stress marks highlight the perimeter of the wood giving it an exotic quality. Dimensions: 21-31"W X 35"L X 2 1/2" THK. This cherry slab is one of ten pieces that are a similar shape seasoning in the warehouse. This one boasts a beautiful range of warm tones. Perfect size for a coffee table, end table or whatever you can imagine.